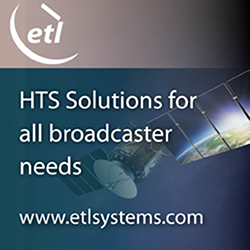 [SatNews] In its fourth edition, NSR’s SCADA/M2M via Satellite report offers a complete analysis of this vital satellite communications market. SCADA/M2M-4 analyzes key elements for satellite-based SCADA/M2M platforms in terms of shifting markets, cost considerations, application targets and end user requirements. Supplying a complete reference of the industry trends for low, medium and high-data-rate offerings for current and future requirements, SCADA/M2M-4 offers market insight for industry players looking to keep ahead of the competition. Market forecasts and trends are outlined in 10 distinct market verticals, enabling service providers to plan accordingly in protecting their current market position in existing segments as well as in entering new verticals that offer long term revenue potential. NSR continually updates and expands the SCADA/M2M study, and in the newest edition NSR outlines the Cargo market as a distinct vertical from Transportation to enable better understanding of both markets. Also added are both Construction and Agriculture as nascent and promising verticals to provide a broader market picture. What are the emerging vertical markets, and what is their Future growth potential? Which technology solutions will be preferred over time? 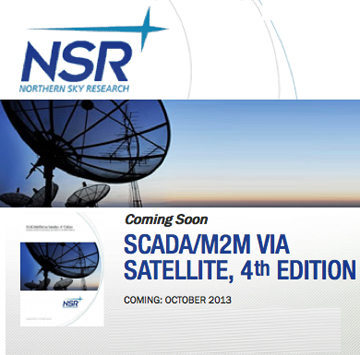 For further information, head over to http://www.nsr.com/research-reports/satellite-communications/scadam2m-via-satellite-4th-edition/.